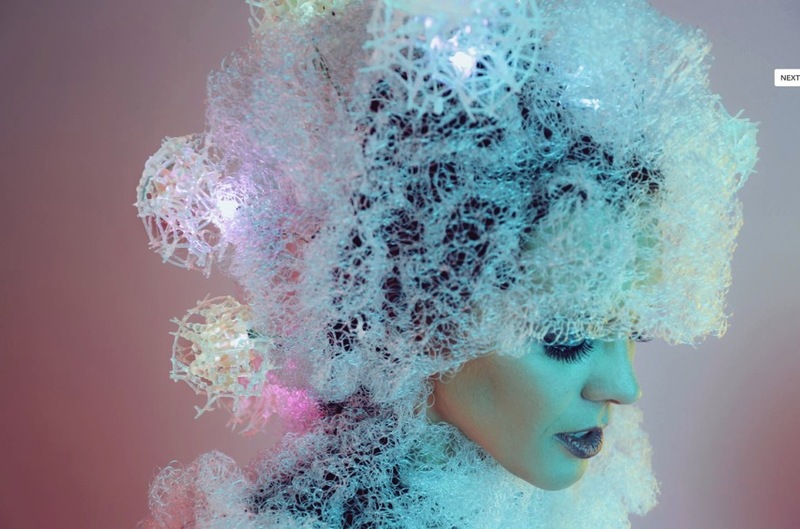 NEUROTiQ: A 3D printed EEG brain sensor that maps thoughts and exhibits brain states with color #WearableWednesday « Adafruit Industries – Makers, hackers, artists, designers and engineers! Sometimes body language just isn’t enough to express your feelings and Sensoree’s latest foray into the world of brain scanning and 3D printing lets you show your mood through an illuminating cap. The Neurotiq brain cap uses brain scans from an EEG sensor to light up LED lights inside a 3D printed mesh. Different colors express varying brain states – from red when you’re sleepy to light blue when you’re relaxed and purple with you’re excited. The Neurotiq cap also made quite the splash at this year’s New York Design Week where viewers were wowed by the colorful light show. Neurotiq is part of Sensoree’s exploration into extimacy (external intimacy) and how people share their thoughts, feelings and activities through a larger social network. The illuminating brain cap starts off with a Emotiv Epoc EEG brain sensor, which monitors brain waves from 14 points. Using these points, Sensoree created a system that displayed brain states through colors. They then 3D printed a crazy piece of head gear that mimics neural networks and contains the integrated electronics and lights. Brain waves are converted into color and illuminated through 14 points in globules on the cap. Red shows the brain is sleeping in Delta state; orange shows the Theta state or meditation; light blue shows Alpha and that the brain is relaxed; dark blue shows Beta with an alert brain; and finally a blue and purple light shows the Gamma state where the brain is excited. Sensoree debuted the Neurotiq during NY Design Week 2014 at the 3D Print Show.